Teaching Hospital, after a long illness. Dr. Hsiang was Professor emeritus and honorary Director of Virus Research Institute at Wuhan University School of Medicine (formerly Hubei Medical University) and a world-renowned virologist and teacher. He was 94. Dr. Hsiang was born in 1913 in Hubei and graduated from Army Medical School in Guiyang in 1942 during World War II. He worked at China Central Institute of Serology and Bacteriology and then was recruited to National Central University Medical School in Nanjing as an assistant professor by Dr. C.P. Li right after World War II. In 1946, Dr. Hsiang was recommended by Dr. C.P. Li to study microbiology in the United States. It took him almost a month by boat to arrive University of Texas where he continued to seek efficient antibiotic treatment of bacterial infection and to investigate how antibiotics could inhibit bacterial growth. Later he joined with Dr. Morris Pollard at University of Texas Medical Branch, Galveston, Texas to focus on poliovirus biology and transmission when tissue (organ) cultures became the new technique at the time, and virology as a new discipline was emerging. This eventually brought him to virology for the rest of his life, including his time in Cleveland Clinic from 1952-1954 and in The People's Republic of China after 1954. Over the past 60 years, Dr. Hsiang research had covered on Japanese encephalitis B virus, herpes simplex virus, hemorrhagic fever with renal syndrome virus (Hantaan virus), and many aspects of immunology, and produced over 200 publications. China Civil War and Dr. C.P. Li was hoping his return by training to China to establish a best medical microbiology program in National Central University Medical School. Unfortunately, China had a three-year Civil War, and Dr. C.P. 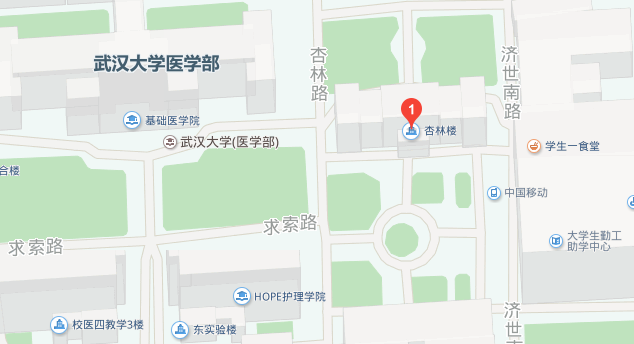 Li had to leave China for the US National Institutes of Health in Bethesda, Maryland. Establishment of the People's Republic of China in 1949 shed the light for many Chinese scholars then in the United States to rebuild the new China with their scientific expertise. Dr. Hsiang was one of them with this ambition and was seeking for the opportunity to return to his homeland. Unfortunately, China had Korean War with the United States. Dr. Hsiang's attempts were blocked by the US Immigration Office. His homing dream went through after Korean War. He went back to China in 1954 and came to Hubei Medical University to repay his personal admiration to Dr. ZHU Yubi, then the President of Hubei Medical College, who took care of his parent during his absence from China. Since then, he spent his entire professional life at Hubei Medical University. As a teacher for more than 50 years, Dr. Hsiang has trained countless number of students and fellows all over the country and was remembered by many of world-class scientists. His persistence, good cheer, and boundless energy had set as model for all of us. As he always said even in his 90s that "learning goes on as life is continuing". Dr. Hsiang received many awards. He was honored in 1978 by Central government at Great Hall and was a recipient of a Class III National Science Advance Award. He was also honored a Friendship Award by US Army Medical Research Institute of Infectious Diseases. 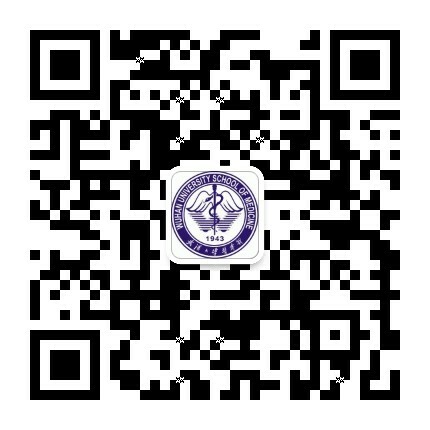 Chin-Min Hsiang Education Foundation (CMHEF) is a non-profit organization, established in memory of Chin-Min Hsiang, formerly Professor of Medical Microbiology and Immunology at Wuhan University School of Medicine. The purpose of CMHEF is to promote values of higher education, particularly to encourage and support advanced studies in biomedical sciences in China. This will be achieved by annual selection and rewarding of students who meet the criteria of the “Search for Excellence” program set by the Foundation, and to facilitate academic and research exchange between scholars in China and US. Currently, the Foundation has two programs to support students and researchers each year. Two students, one from college and one from graduate school, will be selected to receive an award of 5000 RMB. A junior faculty who is engaged in research in the area of medical microbiology, immunology or virology will be awarded 5000 RMB for his/her outstanding research, as demonstrated either by the research proposal or a published paper. The success of this highly significant program depends on generous contributions from all, which are not limited to alumni of Wuhan University. All donations may qualify for exemption from federal and/or state income tax.